Employ a low-RPM, high-output alternative for your stock Nova bus alternator. 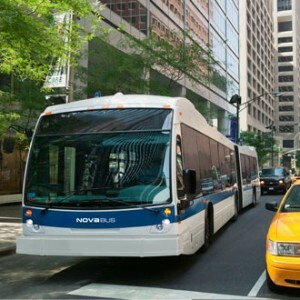 The majority of city buses throughout the United States are manufactured by a company named Nova Bus. Each of these buses contains a stock, heavy-duty alternator that is able to handle the high electrical load needed when a bus sits at idle. A city bus has a tendency to sit at idle for long periods of time, as passengers enter and exit the vehicle. Electric loads can also be magnified by other operations such as wheelchair ramps and bicycle mounts. The alternator that comes stock in your Nova bus gives a performance output of 270 Amperes and 24 volts. 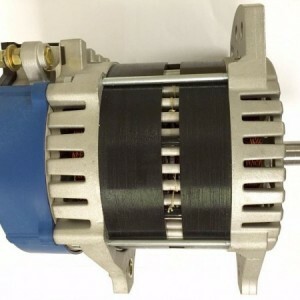 This alternator produces a maximum output of 6,500 intermittent and 7,000 continuous RPM. An Eco-Tech alternator, on the other hand, can generate 260 Amperes of power at 1,800 RPM. Running at a consistent RPM does several negative things: it provides wear and tear on the motor, has a tendency to wear the alternator out quicker, and absolutely drains the battery on a daily basis. This makes a high-output, low-RPM alternator such as Eco-Tech an excellent choice. Not only do you save money on wear and tear, there is also the fuel economy to be considered. An Eco-Tech alternator provides you roughly 50 percent less engine drag, and is much better on gas consumption. A green, environmentally friendly choice, swapping out your stock Nova bus alternator for an Eco-Tech one is a smart decision.